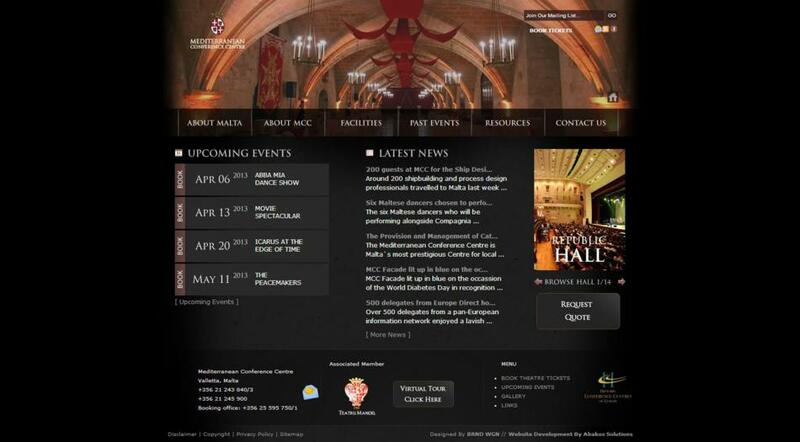 Apart from giving the important information about the history, conference facilities & services of the place, on the website one can also find important features about each hall available at the Mediterranean Conference Centre. Corporate clients and individuals can also submit an enquiry form online if they wish to request a quote for their event. 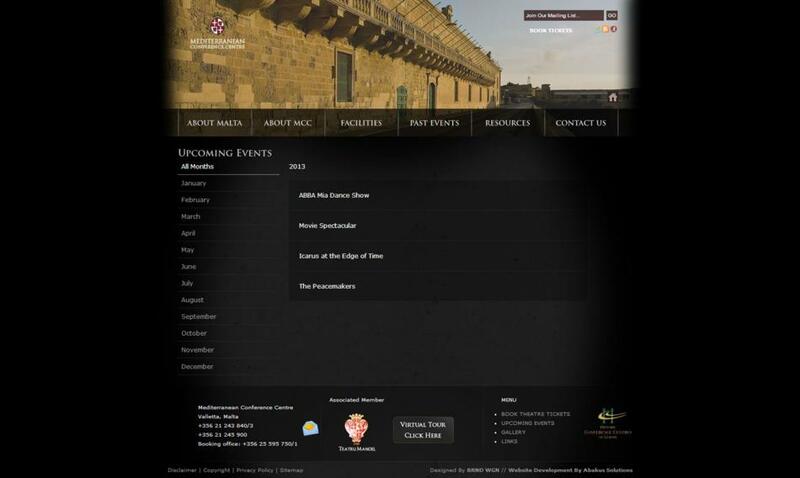 The calendar of events is also an integral part of the website. This section is managed by the Shows Module of the Abakus Web CMS Version 5.0. . Each event will have a link directly to the section in the booking system about the event in question once the booking is open. 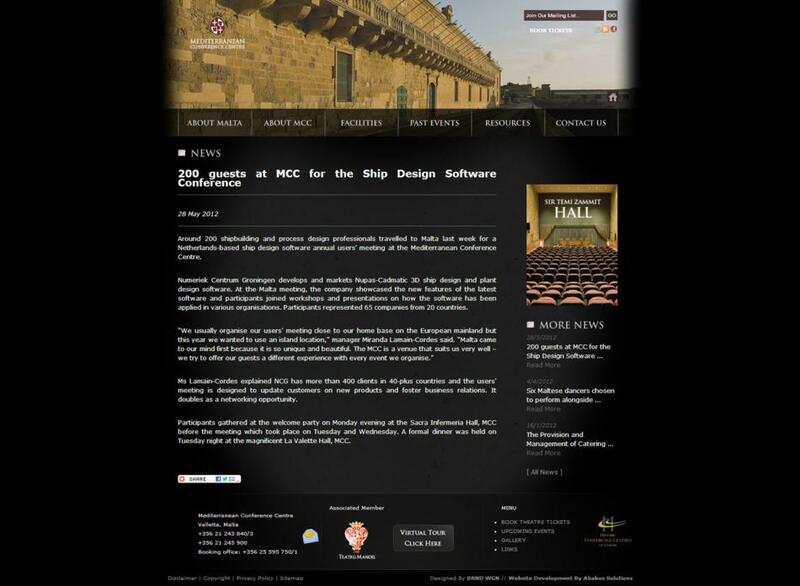 The website also has an extensive photo gallery with breathtaking images of Malta and the MCC’s historic halls. Floor plans for the halls are also available. One can also find a virtual tour with 360 degree image of each hall.